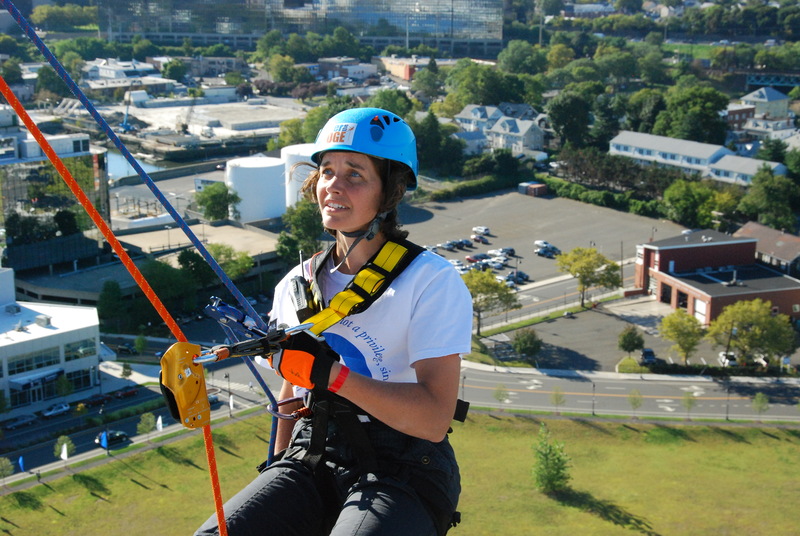 On Wednesday, August 29th, Amy Taylor from our Stamford site, literary went above and beyond by stepping out over the edge in a fundraiser for the Special Olympics. Normally, I eschew the use of the word ‘literally’. It is misused way too often, normally where figuratively should be used. But in this case, Amy did go above and beyond. She went above and beyond her friends in Stamford as she rappelled down the side of the Harbor Point building in Stamford. It was part of a fundraiser for the Special Olympics which raised a total of nearly $80,000.